Capcom is currently working on a fifth instalment in its venerable hack’-n-slash Devil May Cry series, accordings to murmurs originating from Gameblog.fr. Rumours regarding Devil May Cry 5 have been doing the rounds for quite a while now, and things escalated recently when well known voice actor Johnny Yong Bosch posted a picture of himself and Reuben Langdon sporting motion capture suits on Facebook. For those out of the loop, Bosch is the voice of Devil May Cry 4's Nero, while Langdon is responsible for bringing Dante to life. The two actors also provide the motion capture data for the aforementioned characters. Wow! I'd love to see this. Hoping to see more of Dante here. I hope they go back to the original aesthetics. The new one is really fugly. Paano na yung reboot version? According to the leaked info, the Devil May Cry 5 release date is targeting FY 2019; this means it’ll launch at some point between April 2018 and March 2019. Capcom had originally planned to ship the game in November 2018, but the source of the leak believes it may have been pushed into early 2019. However, players will be able to get their hands on a demo of the title some time before launch. Devil May Cry 5 has reportedly been in the works for two years, and by the time it releases will have had three years of production time under its belt. Work began around the same time as Devil May Cry 4 Special Edition shipped, so around early 2015. 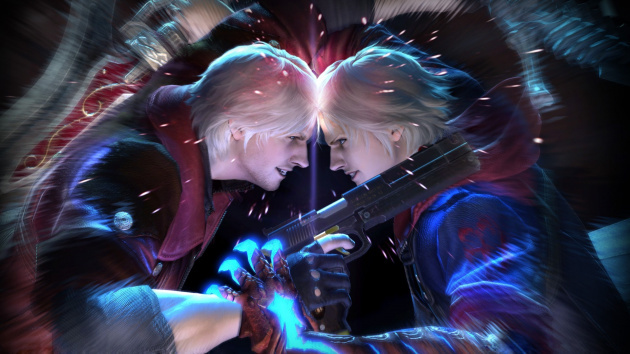 In terms of basic game info, Devil May Cry 5 is a direct sequel to its predecessor, and features Dante, Nero, and Vergil appearing in the game. The game will explore a ‘new side’ of Dante, who appears to take on a more serious persona this time around, although he’ll still have his trademark banter. Trish will also be returning and will have a prominent role in the sequel, which is hinted at being the conclusion to the ‘Sons of Sparda’ story arc. Capcom is targeting 60fps for the console versions of DMC5, much like previous iterations. In terms of level design, the developer is plumping for a more open experience than previous games, allowing for more exploration. Furthermore, DMC5 will feature a mission and ranking system similar to both previous games and Bayonetta, while a mission select feature will also make a return. Meanwhile, bosses have been given a considerable overhaul, with battles proving more cinematic and taking part between multiple areas of the game. In addition, the Style system has been streamlined to allow for a smoother transition between different techniques. There’s a ton more info to read up on over at resetera, so be sure to head over there and get the full scoop. Devil May Cry 5 is expected to be unveiled at the PlayStation Experience 2017 next month. At first I thought Nero looked like Dante from the DMC reboot. Only with white hair. Akala ko continuation ng DMC ito. Ang bangis nung gameplay. Sana mas marami pang moves. At more gameplay time for Dante rin. Leaks! We can see the third playable character, V! And some returning characters as well. Dante Trailer. Also, the third character, V, was shown. Also Deluxe Edition additions. I heard may microtransactions it. WTF?!! That business model should stay with free to play games on phones. Not with full priced, triple A, single player centric console titles. May ganun din sila dati sa DMC4 Special Edition. Buy orbs lang para di na mag-grind. Useless siya kung tutuusin. Parang cheats lang ng EA games dati na pwede mo namang ma-unlock. In this case, grind ng red orbs. Kaya naman ng 1-2 playthrough e.
Ang gameplay structure pala nito parang mga classic Resident Evil titles. May missions na may specific character, may missions na may choice ang player. Okay, so, there’s a bunch of different missions in the game, and the way that they work is that there’s some missions where you’ll play with a specific character, some missions where you’ll choose between one of two, and some where you’ll choose one of three.